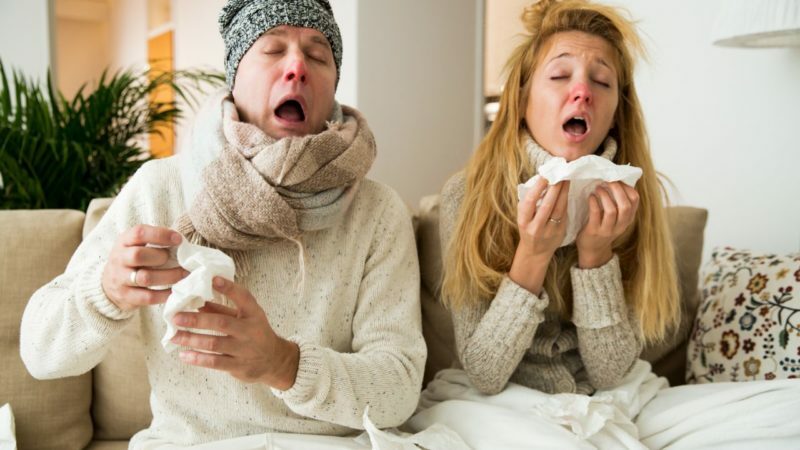 Increase your body temperature- induce a fever! That’s your body’s natural way of fighting a virus. Bundle up and sweat it out. Increase fluids such as hot water, tea, honey-lemon throughout the day to flush and circulate your sinuses to prevent an infection. Steam inhalations are also great for clearing the sinuses and helping circulation. Get REST!!! Many people take medication to push through it. This just prolongs the experience not allowing you take time to heal. Your body is calling for sleep, get it! Plus, no-one wants you at the office, school or an event when you’re sick. Stop spreading the virus. Get lots of veggies and protein: chicken – veggie soup is perfect this healing soup. You need protein and vitamins to help fuel the immune system to quickly fight this virus. Zinc – this is essential for your immune system! for many people dairy is very phlegm forming creating the perfect place for bacteria to congregate, scientifically increasing your risk of infection in the ear, chest, and sinuses. **Remember colds and flu’s are viral, antibiotics do not work on viruses. Here are a few tips to prevent it from turning into an infection– stay hydrated, remove dairy, for sinus infection prevention using a nettipot or hydrosense to flush the sinus cavity, for lungs steam inhalations and castor oil packs to the chest will help you clear out mucus and prevent an infection. **If you are taking anti-biotics research is conclusive and shows that if you take a probiotic the same day (away from the anti-biotic) you don’t have the negative effects of the antibiotics.